Lord Narasimha is said to be the most treacherous incarnation of Lord Vishnu. He had come down to earth in this avatar to destroy the evil and bring in the good. It is an important festival among the Hindus and is celebrated on Vaisakh Chaturdashi that is the 14th day of the Shukla Paksha. Vishnu devotees also observe fast on this day. 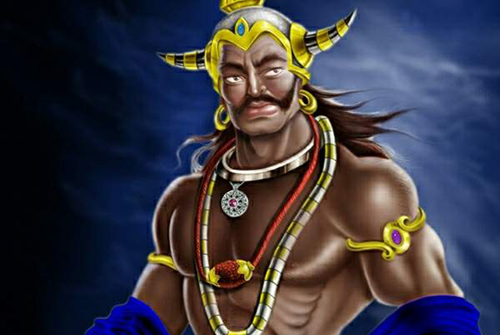 Lord Narasimha was the 4th incarnation of Lord Vishnu. 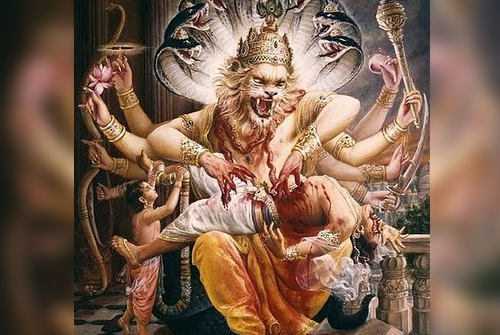 On Narasimha Jayanti day Lord Vishnu appeared in the form of Narasimha, a half lion, and half man, to kill Demon Hiranyakashyap. There was a demon who became a self-acclaimed God. He thought his powers and ability to control people was enough for him to be known as the Almighty. He forced people into accepting him as their God and start praying him instead of any other God. His tales of torture and exploitation to the people were very well known by everyone. Earlier by heavy penance, he had received a boon from Lord Brahma that neither animal nor man can kill him. He could not be killed by any weapons, neither in the day nor the night. In the entire kingdom, there was only one person who never cared what Hiranyakashyap said and was a great devotee of Lord Vishnu. And, that was his own son Prahlad. He was a small boy who was only 8 years old, but still had the understanding of right and wrong. The devil attempted to kill his son several times but Vishnu saved his greatest devotee. As Hiranyakashipu was blessed not to be killed by men or animal, Lord Vishnu had to get a body combined with Men and Animal and kill the devil on his final attempt to kill his son. This incarnation of Lord Vishnu is called Narsingh. The time period in which Lord Narasimha had descended on Earth to destroy the evil is considered to be highly auspicious. 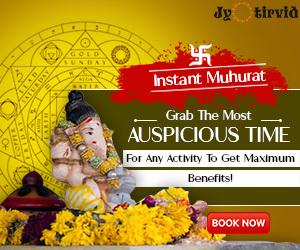 This time is considered to give many benefits if we observe a Narasimha Vrat. On this day, the Moon will be in the Star Swati, ruled by Rahu, and in the sign, Libra ruled by Venus, who is the day lord too. Venus will be placed in Taurus, which is his another sign. Venus receives the aspect from Mars and Saturn. The star lord Rahu also receives aspect from Saturn. Venus shares the sign with Sun, Rahu is along with Jupiter and Saturn aspects these planets. So on this day, the energies of all the planets are present. It is an apt day for manifesting spiritual and materialistic goals. The star Swati carries the energy of the wind, which has free movement and no binding. So this day will help you gain the freedom to move freely without any binding and fulfill all your wishes. This is a very intellectual nakshatra, seeking for a breakthrough in psychological blocks that stops from achieving worldly success will be the apt prayer for this day. You can also seek to enter into the depth of spiritual advancement to cleanse yourself to receive and achieve the material success. 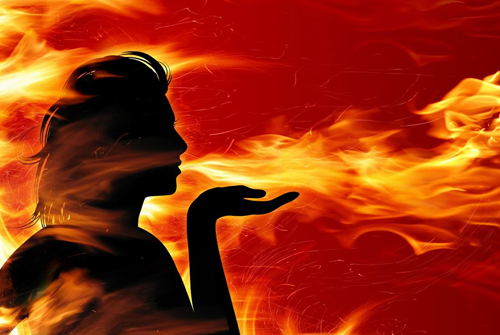 This is the right day to take away all the negative traits like jealousy, ego, obstinacy, complex etc… the inner qualities that are hindering and restricting you to move forward in your life. First of all, devotees should get up early in the morning during the Brahma Muhurta and take a bath. New or fresh clothes should be worn. On the day of Narasimha, Jayanti people keep fasting and visit temples since it is a very auspicious day to gain positivity. 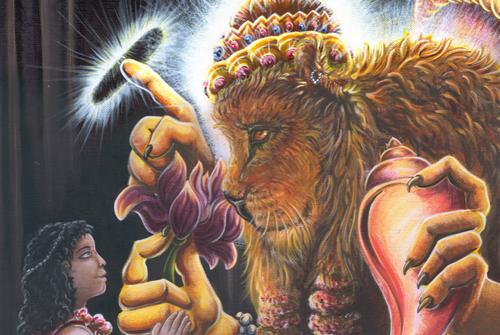 At home, people offer puja to Narasimha and Goddess Laxmi. Devotees take only light food and break the fast on the next day, after performing the Visarjana puja and giving daan to a Brahmin. All type of grains and cereals are prohibited during Narasimha Jayanti fasting. Devotees consider it auspicious if the festival comes on a Saturday with the combination of Swathi Nakshatra. 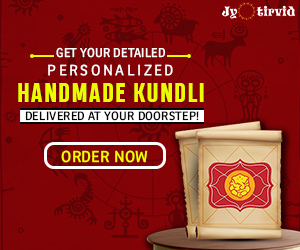 Narasimha is worshiped during the evening on the day of Vishaka Shukla Chaturdashi, as it is believed that Lord Narasimha appeared during the evening to kill Hiranyakashipu. Jaggery and gram sprouts are offered as Naivedhya to the Lord. Devotees also read the Narasimha avatar in the Bhagavata Purana. It is believed that donating on this day to the poor and needy brings in a lot of good karma. Offering flowers and fruits to Lord Narasimha by chanting the below mantra will help to receive his blessings.